What would an independent Scotland mean for UK open data? – Open Data Aha! Home › Benefits of open data › What would an independent Scotland mean for UK open data? I’m posing the question because it looks like a reality we may all be dealing with very soon. My preference would be for Scotland to vote no to leaving the UK [views my own, not my employer], but that’s not my decision to make. So, I’m just trying to get my thoughts in order on what the implications might be. Please feel free to chip in if I’ve missed things, or you think I’ve been overly persimistic or optimistic. Mergers and splits are always a time consuming data management job. For example, when we reorganised the research groups in the Electronics & Computer Science department there were some tricky decisions to make. We list the publications of a research group on it’s website. When groups split and merge, we either have to start from scratch or decide what group to assign each paper to. Last time we waited until all the new group memberships were settled then wrote a script to reassign papers to groups based on the memberships of the authors. That’s a storm in a teacup compared with splitting a country into two. Domains: When .uk is no longer accurate. My best guess is that, if Scotland leaves the union, it will have a new top-level domain, but that many cross-border businesses and organisation will use .uk for years into the future. There does appear to be a .scot domain, but I suspect it will take some time to move sites like www.ed.ac.uk to www.ed.ac.scot, and it seems likely they’d just redirect their .ac.uk domains. Not many Scottish universities have done much with linked data yet, so the issues of organisation-assigned URIs isn’t so likely to raise its ugly head this time, but it does lead to questions about data.ac.uk. What should we do with http://id.learning-provider.data.ac.uk/ukprn/10007790 — should a UK organisation be defining .uk URIs for a .scot institution. HESA are the UK higher education statistics agency and UCAS are the organisation that allows UK students to apply for University. One of the big advantages of HESA is that they allow us to compare data (open and otherwise) between UK universities. Data returns to HESA are mandatory, but sadly they are not funded in a way that allows them to make the majority of their data open and available to all. I would hate to see HESA and UCAS fragmented, it wouldn’t benefit the students in any way I can see. Russell Group, Universities UK etc. The UK has a number of university consortia. Which is to say clubs to which university’s belong. The University of Southampton is part of the Russell Group, which includes Glasgow & Edinburgh. In the short term, there’s little value in breaking up these consortia over state lines, but one of the reasons they exist is to provide a collective voice to government and to address strategic responses to government policy. As the research & education policies diverge these may become less meaningful. The Ordance Survey is more-or-less the UK mapping organistation. It’s based in Southampton so I’ve a number of friends who work there. Said friends are rightfully proud of the work OS does. 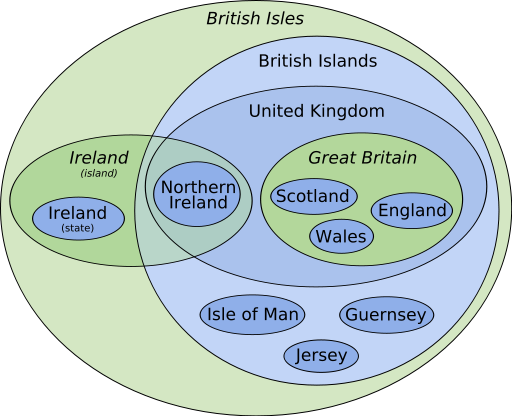 The more-or-less I mentioned is that the OS handles Great Britain, so Scotland, England, Wales but not Northern Ireland. NI is covered by a separate mapping organisation, so things are already no restricted to state lines. The OS does have open data and URIs: http://data.ordnancesurvey.co.uk/id/postcodeunit/SO173AG and that could be tricky for scottish data with .uk URIs. I think that the UK government open data site is one of the more likely to be split early. As it’s primarily a repository rather than a service, I think you could do this with less trauma than with services or APIs. That said, there’s no rush, and it would be helpful for agencies both sides of the border to collect data with the same approaches so that they can still be meaningfully compared and used by apps which work either side of the border. Maybe minting URIs by state is not going to work in the long term. States do occasionally merge and split. I have no idea what a better solution might be. Cool URIs don’t change, but what are you to do when your URI is suddenly unpatriotic? I think that if Scotland votes to leave the UK, then there’s not hurry to address the issues of cross-border data and cross-border agencies. Public sector open data is something for which the UK has been a world-leader. Obviously there’s many bigger questions about what the future might hold for the British Isles, but whatever happens, please don’t rush to split services, websites and datasets. Slow and steady. What did I miss? What’s the best plan for national open data when a nation divides? Who is using all this government open data?